I’ve declared my love for the double cleansing routine time and time again (HERE and HERE). I love the efficiency and I’ve always been on the hunt for new amazing products, and always will be. 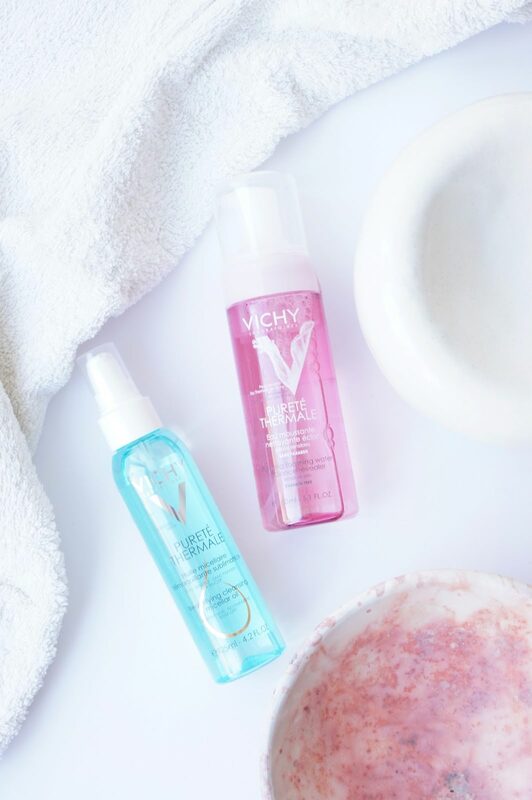 Lately, I’ve been replacing my “usual first step aka micellar water” with a cleansing oil, while a foaming water represents my second cleans. And yes, as the title suggests, they are both from Vichy. 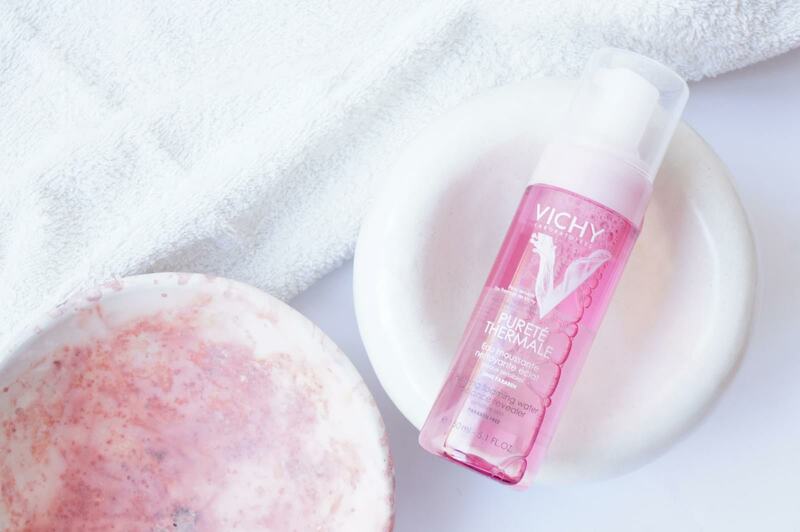 Vichy Purete Thermale Beautifying Cleansing Micellar Oil (15€ for 125ml) is the first ever cleansing oil from Vichy, enriched with micelles, vitamin E and camellia oil. Its ability to quickly remove even waterproof makeup (and other impurities) amazes me, plus it leaves a hydrated, soothed and soft feeling on my skin. It’s designed to gently but efficiently remove impurities, such as dead skin cells and excess sebum (and makeup); for me it’s more of a »first cleans«, especially when wearing makeup (however it works great individually as well). Its texture is light and liquid, it feels silky on the skin. To use I simply apply and massage on dry skin to breakdown any makeup and dirt; next I dampen which causes it to emulsify into a milky substance. You can either wash it off with water or a damp muslin cloth; it doesn’t leave any residue on the skin. The only downside is the brief blurred vision I get occasionally, which is rather a common thing with cleansing oils. My skin loves it, it feels luxurious and it’s actually quite affordable considering other similar products. 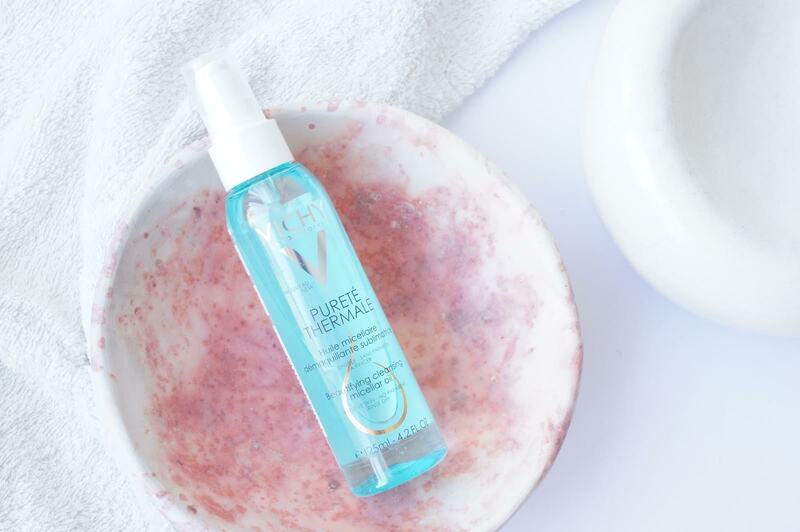 Vichy Purete Thermale Purifying Foaming Water (15€ for 150ml) these days represents my »second cleans«. It’s actually a liquid to foam water soluble cleanser suitable for all skin types. It works well to remove face makeup and impurities, while the main task it gets done for my skin, is the removal of any residue left on my skin after the first cleans (I also use it as my morning cleanser). It’s ultra light, fresh and lathery, the pump creates a foaming action so you actually use a really small amount. It contains a fragrance which is fresh and lovely, but highly noticeable (be noted if you’re extremely sensitive). It will last you (and me) ages! 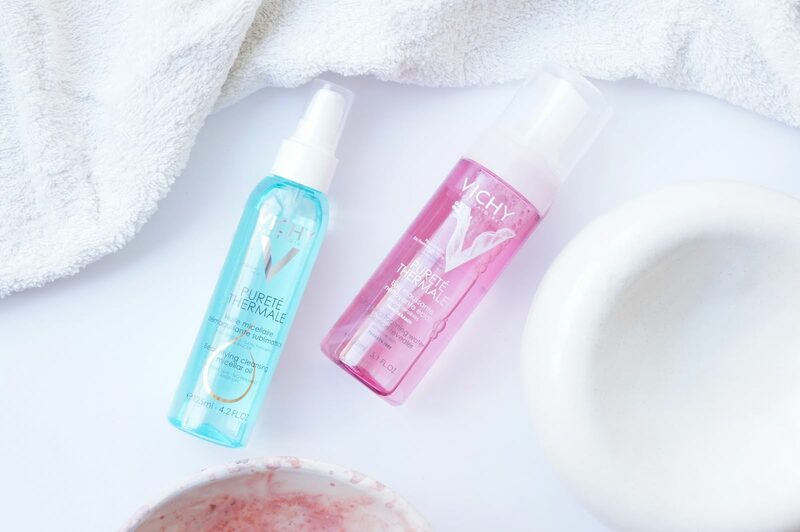 (note: Vichy renewed the whole Purete Thermale range, this foaming water has new packaging). Pri tebi si vedno naredim luste z Vichy izdelki. Tole micelarno olje me full mika. Kaj ves ce ima Vichy tudi kaksen cistlni gel/peno za obcutljivo kozo nagnjeno nepravilnostim? Še nikoli nisem preizkusila Vichy, vendar ga vsi hvalijo. Mogoče je čas, da ga preizkusim. Zelo dober review.